Samsung on Wednesday officially penned the next chapter in the story of the Note, one of the most influential smartphone lines ever created. Leaks have more or less spoiled the surprise as they often do these days but let’s run through the specs just in case you’ve somehow missed them. 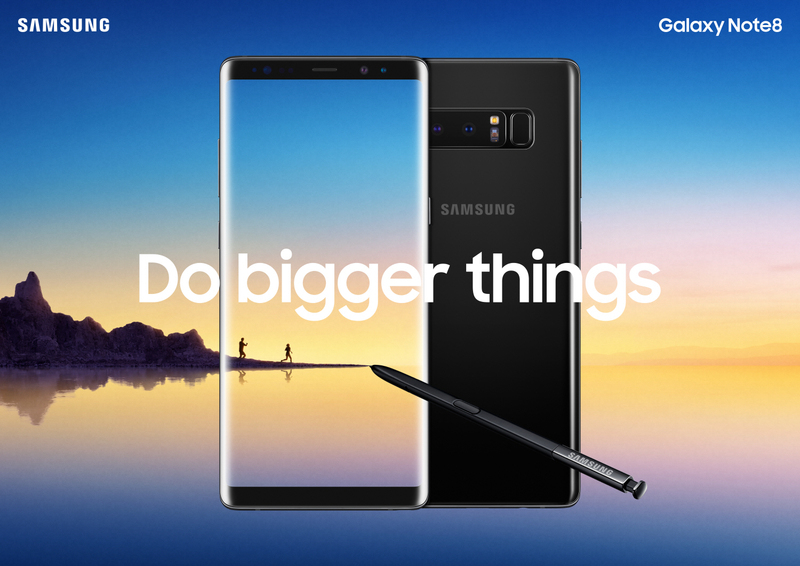 The Galaxy Note 8 features a sizable 6.3-inch Super AMOLED display with a Quad HD+ resolution of 2,960 x 1,440 pixels (521 PPI, 18.5:9 aspect ratio). Like the Galaxy S8 before it, the Note 8 prominently features an edge-to-edge design that subtly melts into the sides of the device. Powering the Note 8 is Qualcomm’s Snapdragon 835 octa-core SoC (international users get Samsung’s own Exynos processor) paired with 6GB of RAM. Oddly enough, US versions of the phone will top out at 64GB of internal storage while those in other countries will have access to 128GB and 256GB variants. Fortunately, local storage can be supplemented via microSD card slot. Around back is a 12-megapixel dual-camera array comprised of a wide-angle shooter with f/1.7 aperture and an f/2.4 telephoto lens, both of which feature optical image stabilization. Unfortunately, Samsung has retained the same awkward position for its fingerprint reader – on the back, right next to the camera array. An 8-megapixel front-facing camera with f/1.7 aperture handles selfie and video calling duties. The Note 8 comes equipped with a physical Bixby button, allowing users to quickly launch Samsung’s digital assistant. Another carryover from the Galaxy S8 line is support for DeX, the dock-required feature that lets you use the phone in conjunction with a monitor, keyboard and mouse for a desktop-like experience. Powering the Note 8 is a 3,300mAh battery that, predictably, has been subjected to rigorous testing. That’s a bit smaller than the 3,500mAh pack that shipped with last year’s model but with any luck, should be a bit less explosive. Other quick-hit specs include IP68 water and dust resistance, wireless charging, USB Type-C connectivity, Bluetooth 5.0, LTE Cat. 16 technology, 802.11 a/b/g/n/ac Wi-Fi and yes, a coveted 3.5mm headphone jack. It’ll ship running Android 7.1.1, not Google’s newly minted Android 8.0 Oreo (I suspect an update to Oreo won’t be too far off in the distance, however). By most accounts, the Galaxy Note 8 looks to be an incredibly solid smartphone – one that’ll likely earn Samsung the distinction of having the best Android handset for at least the remainder of the year (and probably through early next year leading up to the Galaxy S9’s arrival). There aren’t really any major surprises or revolutionary technical advances here but that’s not really a surprise. Given last year’s fiasco, Samsung needs a guaranteed hit and barring any unforeseen issues, this phone will deliver just that. Samsung’s Galaxy Note 8 will be offered in four colors – black, gray, blue and gold – although the two latter colors are limited to international markets. Pre-orders open tomorrow through all major carriers in the US with launch scheduled for September 15. Pricing will vary slightly by carrier but you can expect to pay on average around $950 outright for the Note 8.